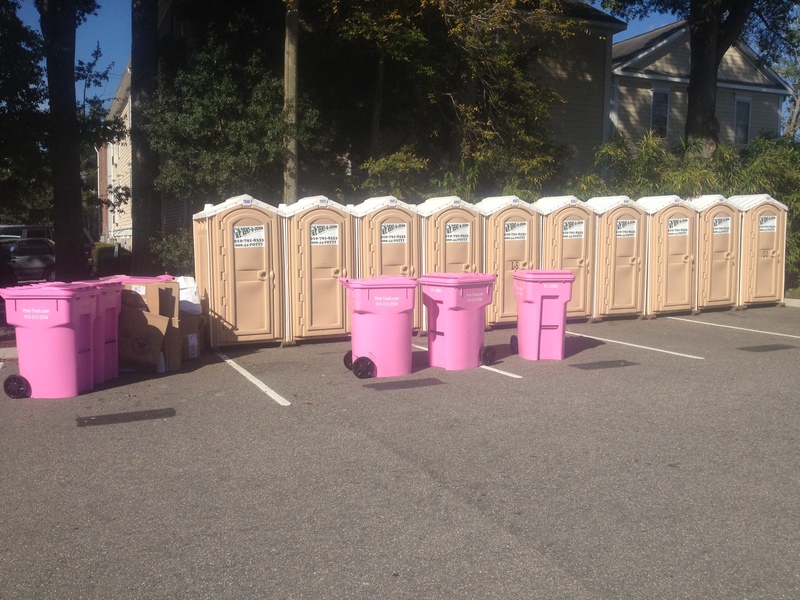 Rent-A-John provides that special touch that will make your event a pleasure to be at while having to use our restrooms. Our staff is dedicated to finding the best combination of equipment and service that will meet your needs at your budget. We provide our superior service and special event restrooms to hundreds of park, beach, picnic area, and sporting event users. 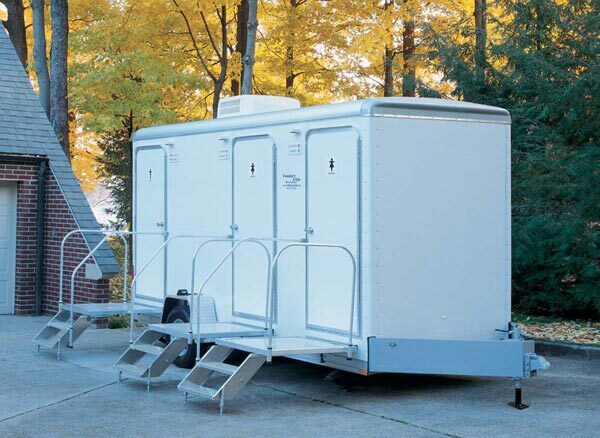 For an upscale event please consider our Executive Restroom Trailer. 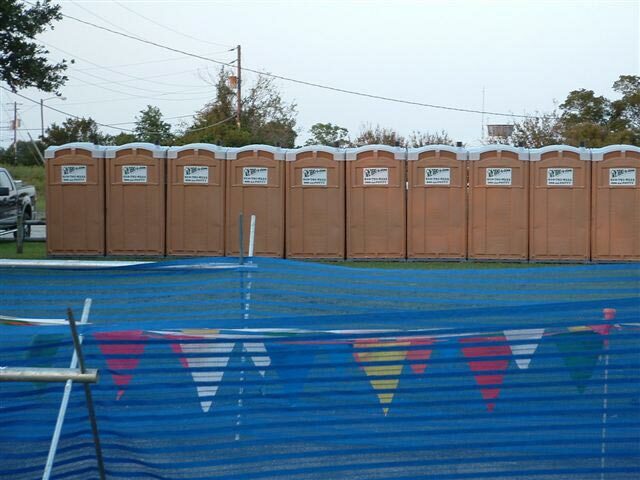 These fully self contained restrooms bring the comforts of home straight to your event. VIP Restrooms with Corner Sink – These units are for the occasion when you want to wash your hands with water, soap, and paper towels. Most events are much more casual and your needs can be met by our special event restrooms with hand sanitizer dispenser. This dispenses a gel-like substance that kills 99.9% of most bacteria. Please contact us for planning assistance so we can discuss all the components of your event. Waccamaw Siouian Association POW-WOW, and many more. 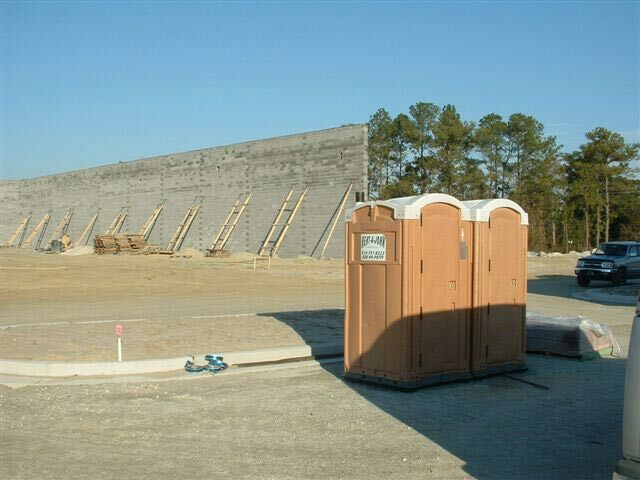 We strive to assist our construction/industrial customers with every need in reference to their portable sanitation. We understand that you do not have time to worry about proper field sanitation, so we take your service seriously, in turn eliminating any of your concerns. Any manager is available by request to come to your site to resolve service issues, i.e. placement, training, proper service levels, etc. Customer service that will strive to satisfy your needs at all times. 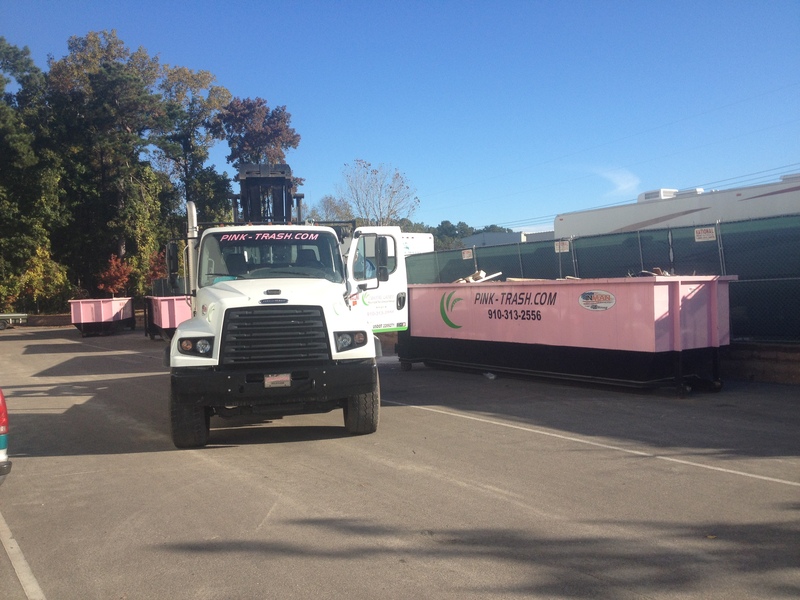 Pink-Trash Roll-Off Dumpster 15, 20, 30yd Service for construction, demolition and recycling collection. 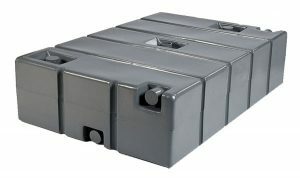 We provide FLAT RATE, NO FEE pricing with same day, next day and Saturday service. 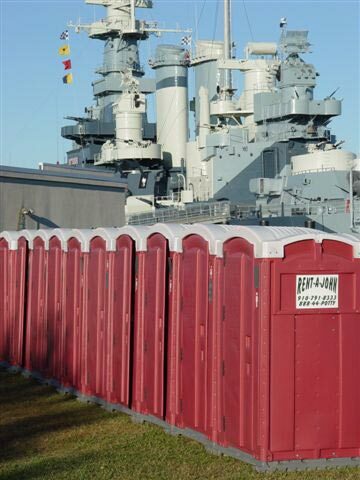 In addition to providing the dumpster; we can provide portable toilets and executive trailer washrooms for site / event. We focus our efforts to reduce contractor’s disposal cost and divert materials such as concrete, wood, shingles, metals and cardboard from the landfill.